Newcastle Falcons have signed prop Eric Fry from Championship side London Scottish on undisclosed terms for the 2014-15 season. Fry, 26, is a USA international with 23 caps and has been with Scottish since joining from ITM Cup side Manawatu Turbos in January 2013. "He gives us steel in the front row," director of rugby Dean Richards said. 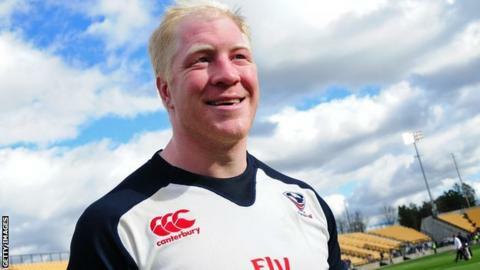 "He's been a cornerstone of the Exiles pack over the last two seasons, and his international experience will help us." Falcons have now signed six players for next season despite not yet securing their Premiership status, and are seven points clear of bottom side Worcester with three games remaining. Four of the new additions have come from the Championship in Fry, Calum Green of Leeds, Rotherham's Juan Pablo Socino and Ruki Tipuna from Bristol, while Semisi Taulava and Rob Hawkins come from Premiership rivals Worcester and Leicester respectively.